« Older: SP Lions brighten the Christmas season for the seniors! 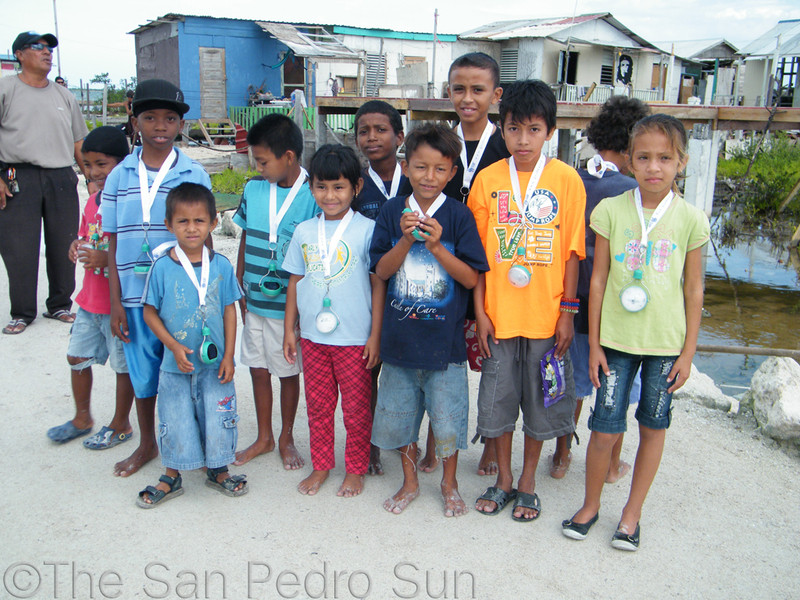 Newer: » The SPSun’s 7th Annual Caribbean Christmas Colors: Festive & Bright! 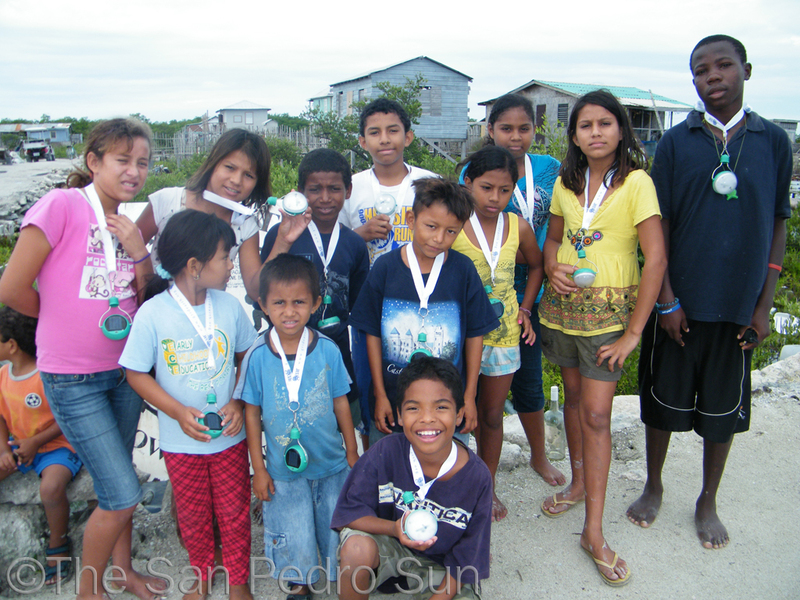 Through a kind donation from a group called Grid Earth, represented by the Cochran family, 50 children received solar power necklace lights. 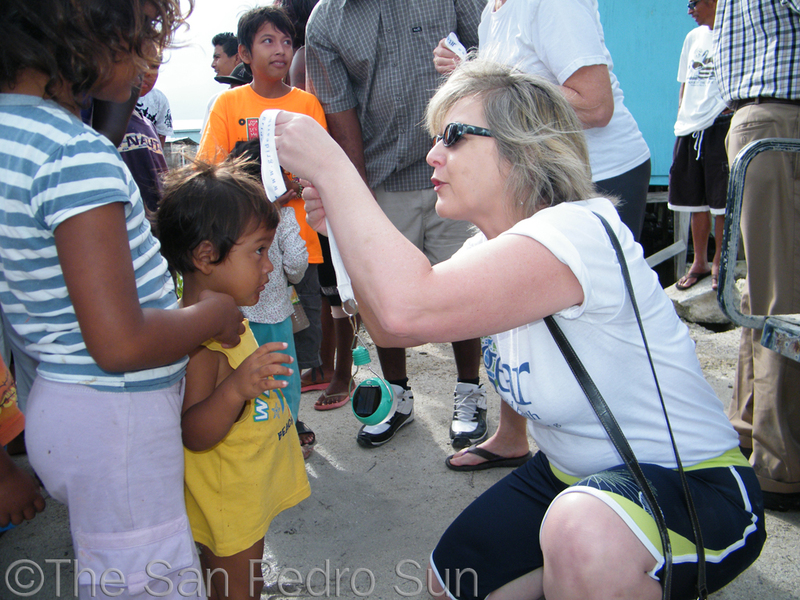 The donation was made to school age children of the San Mateo Sub Division, on Sunday December 17th. The lights are personal solar powered “Light-emitting Diode” lights. 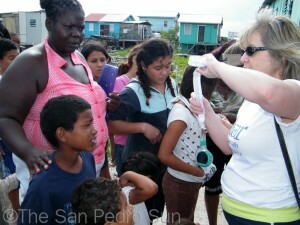 The donation was made possible through the efforts of Audrey Cochran and her family. Coordinating the delivery was United Democratic Party councilor candidate, Kenrick Brackett. 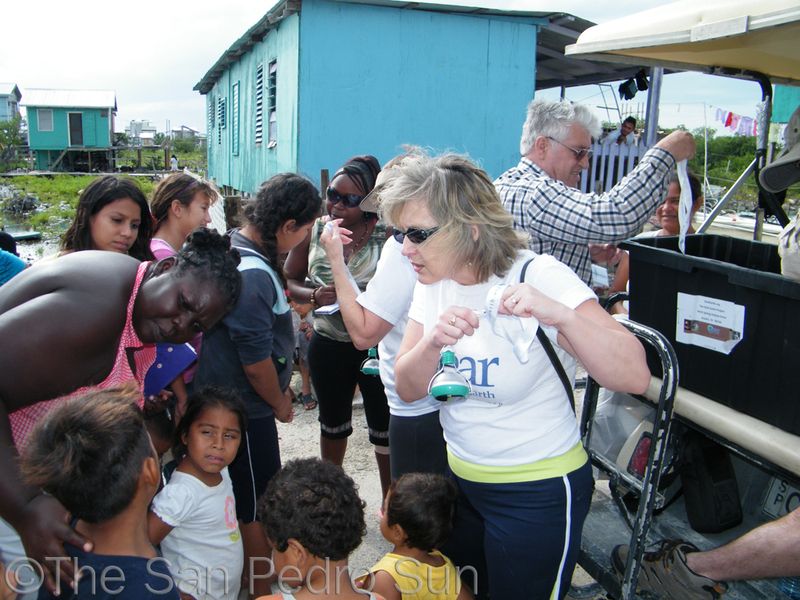 The Cochrans visited San Pedro ten years ago while on their honeymoon and just happened to visit the San Mateo community. According to Cochran, back then the situation was absolutely devastating. She was surprised however, when they returned years later, to find that the situation had only improved slightly. 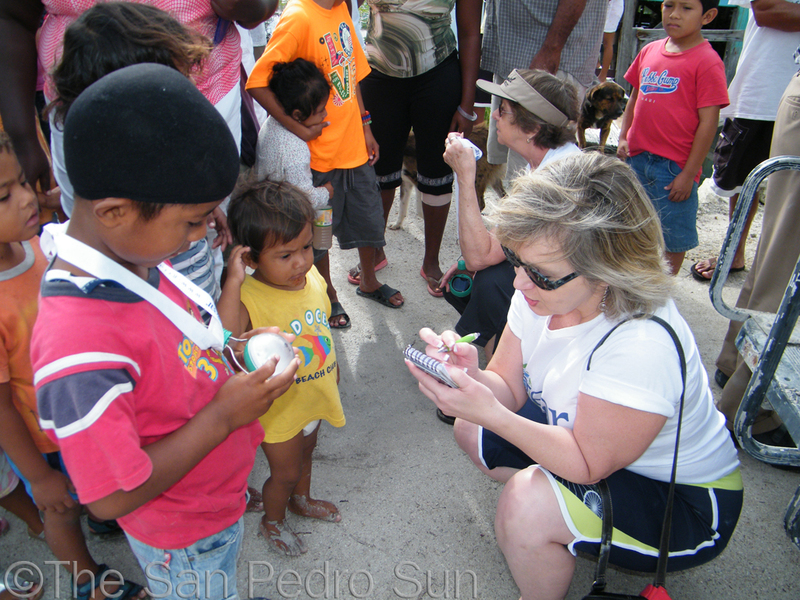 The LED lights that were distributed to the children in San Mateo have a lifespan of 10 – 20 years. The rechargeable battery in each light has a lifespan to about two years depending on use. 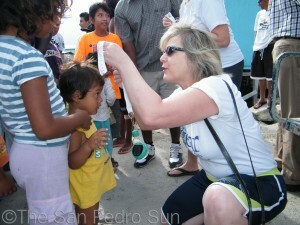 The donation to San Mateo is estimated at a cost of 2,000. 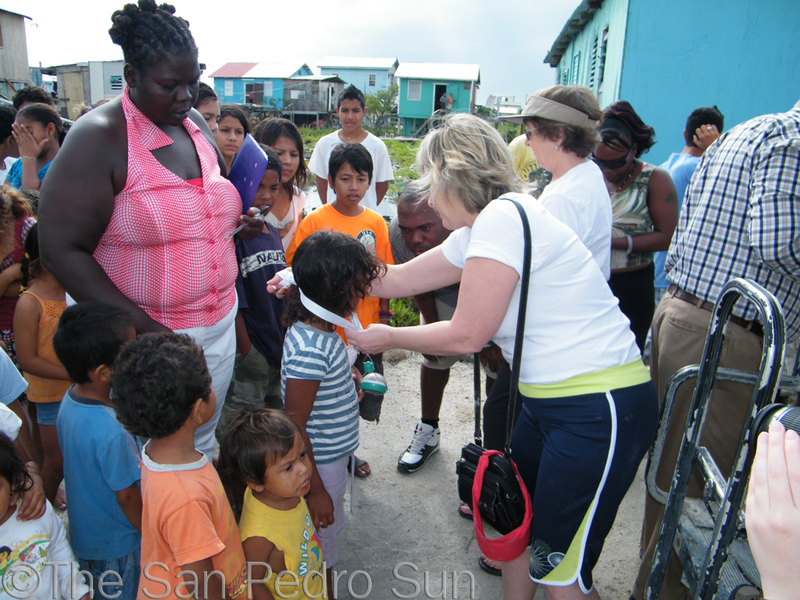 In speaking about the reason the family decided to give to Belize, Cochran stated, “we love Belize, we’ve been treated so kindly here. 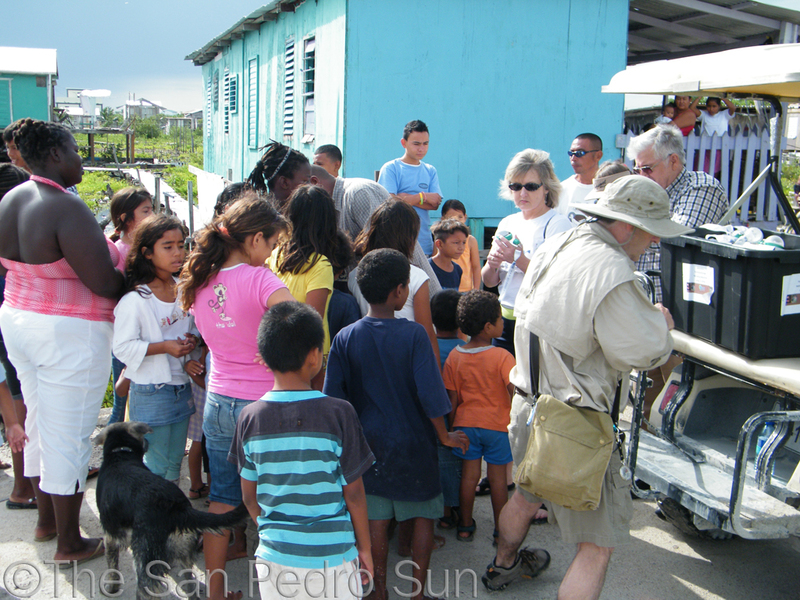 Everyone is so eager to help us and we’ll be here until every house in Belize has lights.” The group also supports local artists by purchasing locally produced artwork from the communities that they help, and re-selling it in the US market to create more funds to re-invest into the project.